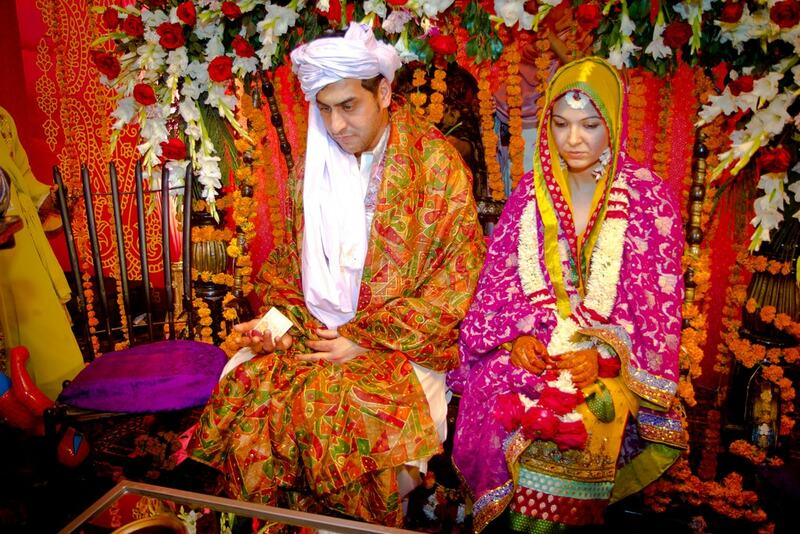 Weddings in Pakistan are a religious, as well as social celebration, same as in any part of the world. However, Pakistan is the home to multiple ethnicities and cultures, and that’s what makes it a colorful country. People of all races live together and have same lifestyle practices to some extent, however, there each of these ethnicities have vivid traditions of their own that still govern their lives in some way or other. The Provinces of Pakistan differ in geographical aspects, and that shows in the culture of their native people. For instance, Punjab is an agricultural land so all the local festivals are associated with the crops and yield. The Sindhi folks are fishermen, or they used to be, owing to their proximity to the sea. It is also a land of dessert, so their lifestyle is influenced as such. The Pashtuns are the mountain people, used to the harsh weathers and that’s how they live. The wedding practices are also different in these lands. Modern day urban Punjab and Sindh have mostly forsaken these rituals and dress code, although they are still practiced in the rural areas. 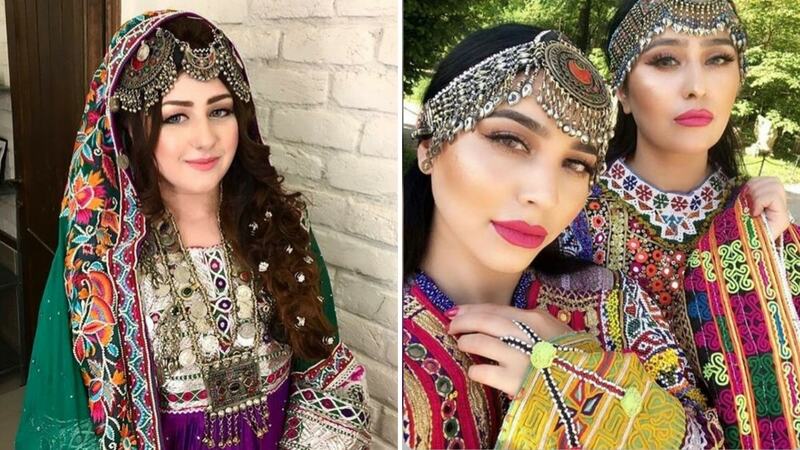 The Pashtuns and Baloch people still practice their traditions. Punjabi weddings are loud for one. The music, the laughter and the dancing are unbridled. The food is also a major part of the festivities. 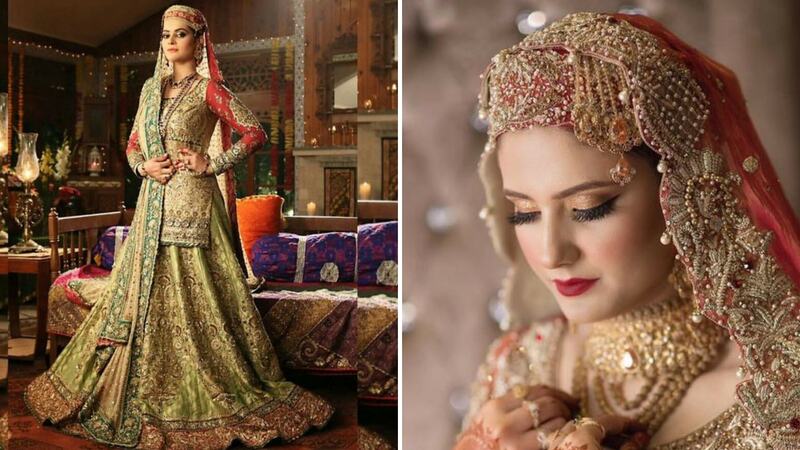 As for the bridal dress, the Punjabi bridal dresses are colorful and flashy. The gota, dabka work enamoring the dress makes for a dazzling display. 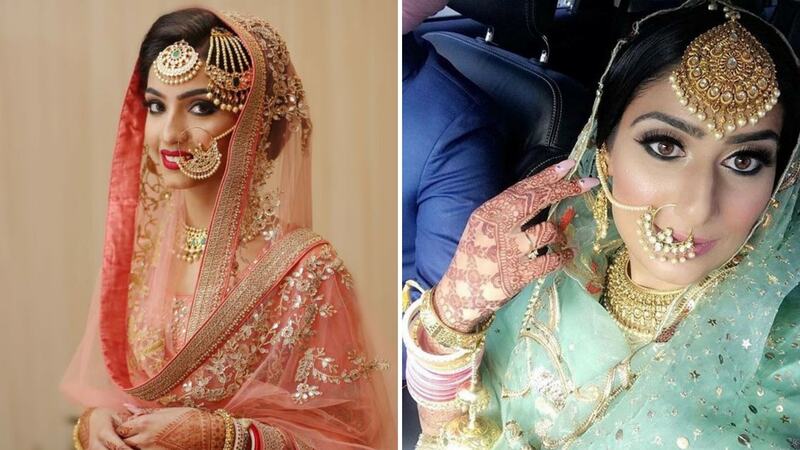 Traditionally Punjabi brides wore Shalwar Kurta, as opposed to lehenga, but not the brides of today. The jewelry worn by these brides was heavy with a wider spread, which is why the nose rings, chokers, jhoomkas and tikkas were so wide. The wrapping of dupatta down the front is also a Punjabi bride style norm. 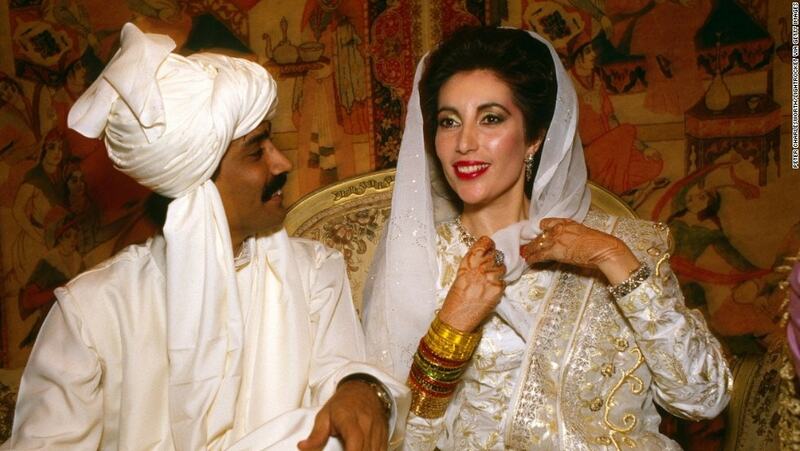 The Sindhi brides wore full skirts. They are also known for wearing multiple dozens of bangles. The provincial dresses of our country are generally different in their embroidery patterns and threadwork. Where there is Gota work in Punjab, Singh is known for its needle and mirror work. The brown and maroon printed Ajrak is also very famous in Singh. 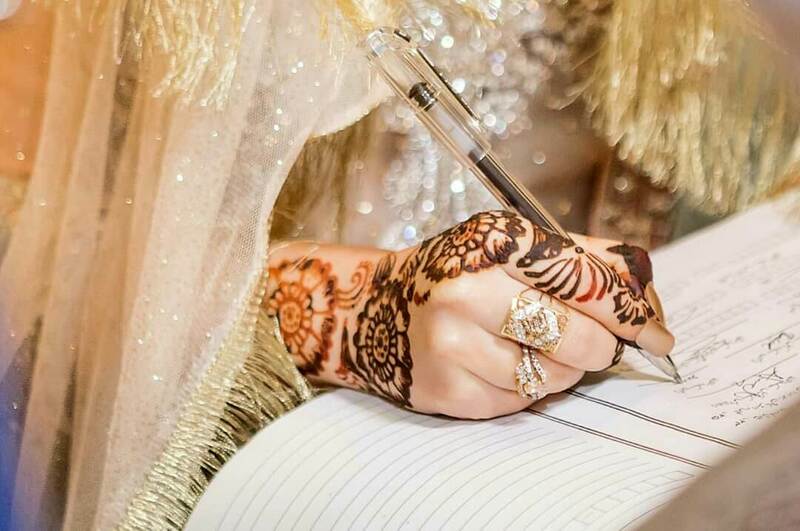 For the jewels Sindhi brides wore exotic silver jewelry. Kundan, baanhi and sat surhi gold jewelry was also famous. The bridal fashion of Sindh, however, is evolved in modern times, and Sindhi brides are known for their minimal looks and soft make over. The traditional bridal dress worn by Kashmiri brides is known as Pheran. These are long sleeved kurta like dresses, tied at the waist with a Pashmina waistband called louing. The colors of these dresses are red, maroon, orange, or rust. The dress is heavily embellished with the zari work, and traditional Kashmiri thread work. The famous bridal headpiece is called Tarang. There is a lot of jewelry involved, obviously. Heavy necklaces, bangles, waistbands and anklets are worn by the bride. The signature piece is a chain earring with a pendant attached at the end, it’s called Dejharoo. 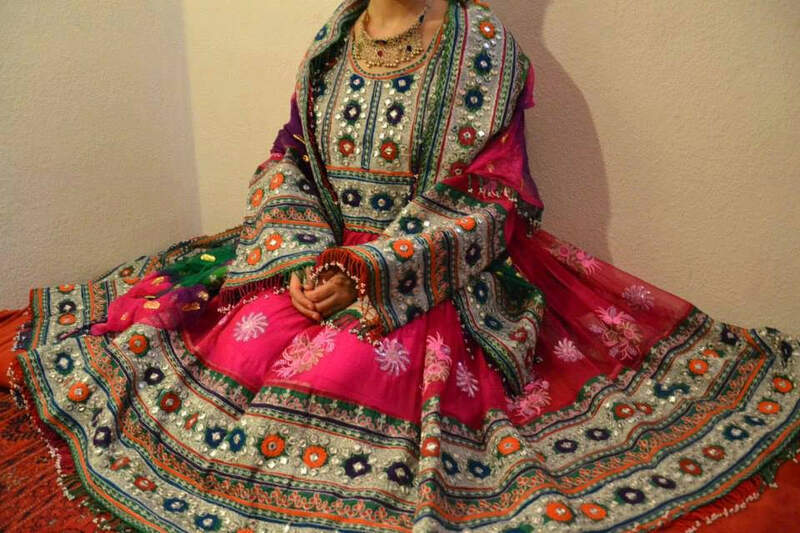 The Balochi dress is a frock like outfit, which is called Phashik. The famous fabrics for the making of these dresses are cotton, silk, Georgette. The most used colors are red, green, black, yellows and blue. Mostly these dresses incorporate thread work, and mirror work, but sometimes metallic details are also incorporated. They have very heavy embroidery patterns and the mixture of so many colors, make the dresses exquisite. They feature weaved sleeves and skirts, also pockets. However, Baloch folks are private people for the most part. You will not find very many photos of their lifestyle and weddings. 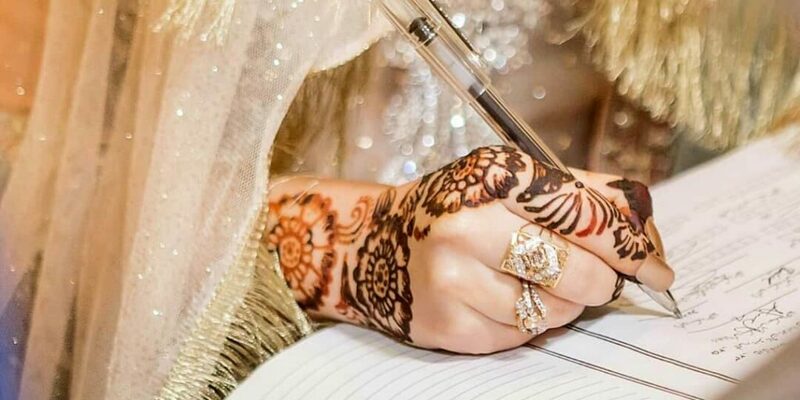 Pashtun and Kashmiri brides have similar embroidery patterns, as the both communities reside at the mountainside, so they share many traditions. Kashmir ‘Phiran’ style kameez is worn by the bride. The heavy jewels are also common. Lacquered silver jewelry and heavy mathapattis are a norm among Pathan or Pashtun brides. Some brides also wear the famous Kashmiri bridal headpiece called ‘Tarang’. 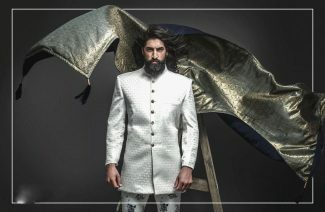 Next Post Grooms’ Fashion; How to Pull Off Shawl Like a Nawab On Your Wedding?